On Friday night after a day of last-minute Robert Group outreach work in Inglewood and accompanying the choir on piano during rehearsal at St. Eugene’s right afterward, I decided to check out the brand spankin’ new Galleria Market on Vermont and 5th. This new supermarket/shopping center was recently re-purposed from the shell of the old Vermont Chevrolet dealership, which closed down a couple years ago. 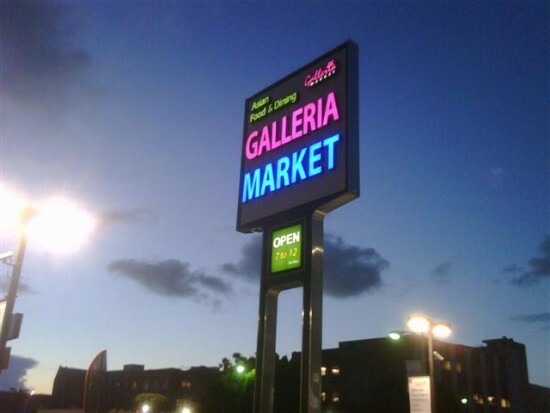 The Galleria Market, affiliated with the Koreatown Galleria a few miles southwest of here, is a unique building in that it only includes a handful of parking spaces in a front lot; the rest of the parking, about two levels worth, is located above the single-story market. An elevator and escalator (complete with parallel shopping cart lift) takes one down to street level.True to its name, it’s neither shopping mall nor supermarket, but both. The front end contains a Cake House pastry shop, a small food court and a couple of other retail shops, most of them closed by the time I arrived. The selection, though, wasn’t as impressive as California Market. There were few items which jumped at me and made me go, “Dang, I gotta try this!” They did have a “self-serve” banchan deli section directly adjacent, which I got some fishcakes and squid. Having experimented with making my own bibimbap a couple months ago (and having done it quite well), I also picked up some ingredients here as well for my next attempt. 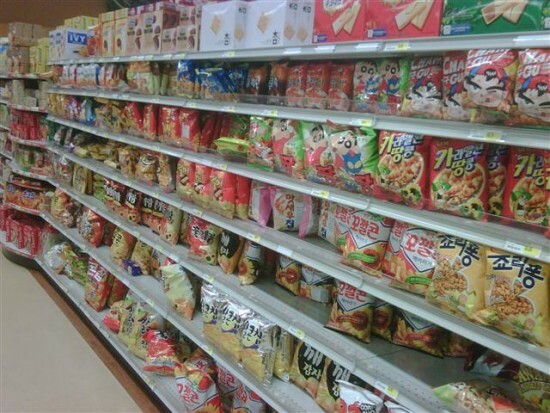 They did have an extremely well-stocked Korean snack section, pictured above. I bought a couple packages. Of course, much of this stuff has little sentimental meaning to me since I haven’t really visited Korea yet, save for a 4-hour airplane layover back in 1981/82. Usually when I travel to some country, I get traveler’s nostalgia upon coming home. One of these days, I’ll pay a visit to the Land of the Morning Calm. I was also looking for some soju, or at least a bottle of some Korean beer, but none was to be found here. Guess they didn’t apply for the beer/wine license. I did find a beverage called “Black Bean Drink.” I guessed it was sort of sweet black bean in a soy milk kinda thing, and I figured I’d either really like it, or really hate it. On sale for only 99 cents, I figured I couldn’t lose. When I got home, I gave it a try, and I the former won out. I finished the bottle just minutes later. That was my golden find here. 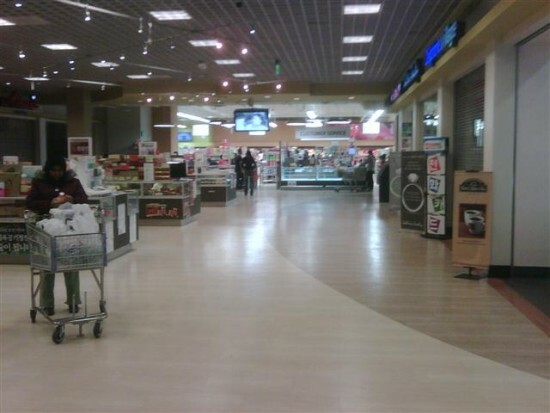 I’ll return to Galleria Market again, they seem to have nice seafood, meat and produce sections. Their bulgogi seems pretty decently priced. 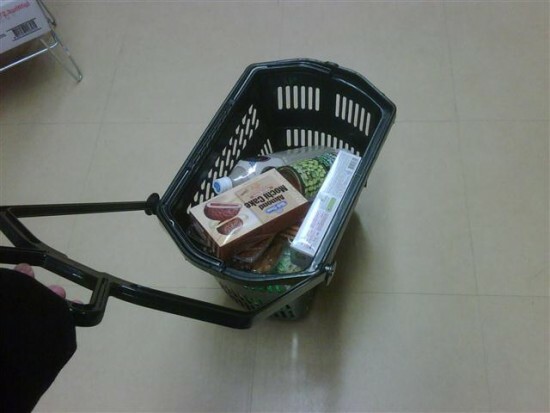 As I returned to my car with my four lightly-packed bags of groceries, I happened upon an older Korean woman, about my parents’ age, about to close the back hatch of her SUV, filled with several bags of groceries. It seemed this place was new enough that she was a first-time customer as well. She commented to me, “The prices are nice here, no?” and then mentioned something about the days of the week which I couldn’t understand but nodded anyway since I didn’t want to come off as rude. 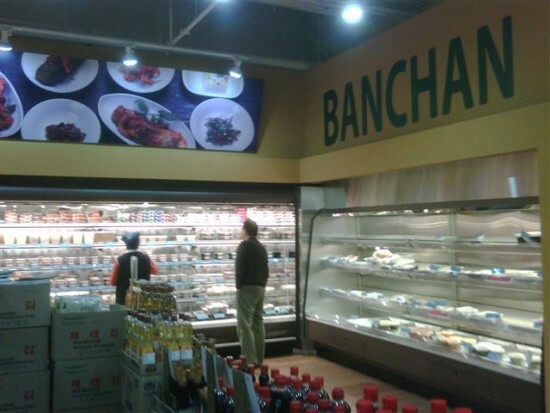 I did mention that I liked the banchan better at California Market on Western, and she mentioned to me that the owner of that market is the same as Galleria. I took her work for it, though she might have thought I was talking about HK Market, which is affiliated with Galleria.